I have the immense pleasure of being one of the steering committee members and one of the writers that helped to make this new education resource possible – the first of its kind in Ontario. 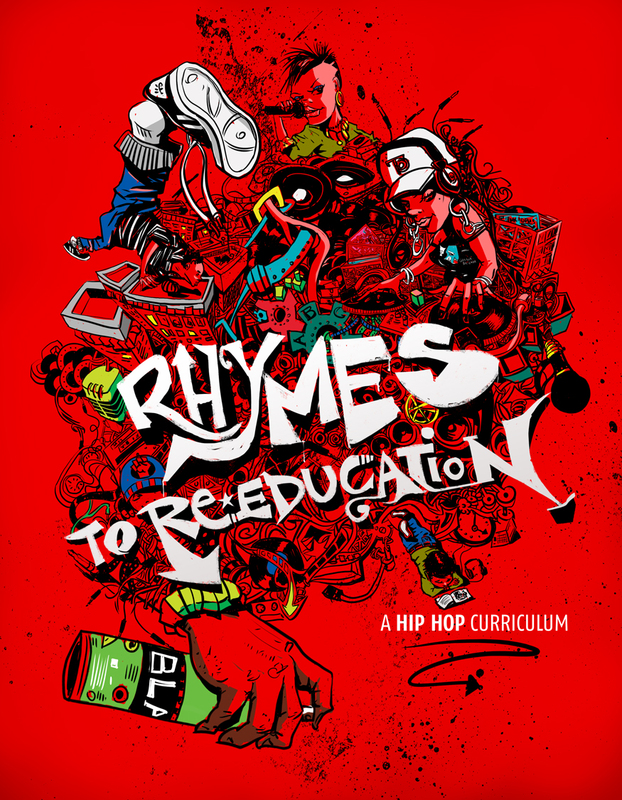 Through the support of the Ministry of Education, Toronto District School Board, Educational Attainment West and A Different Publisher we bring you Rhymes To Re-Education, a new curriculum resource. The authors include (but is not limited to) myself, Brandon Zoras, Braxton Wignall (my former Lost Lyrics student! How amazing is that? ), Chelsea Takalo, Dalton Higgins, Jelani “J-Wyze” Niasis, Joseph “J-Rebel” Hersco, Wendy “Motion” Braithwaite and was edited by Ramon “Rugged” San Vincente. Come out to the book launch Tuesday, April 22nd, 6pm-7:30pm at Yorkwoods Library (1785 Finch Avenue West, Toronto) and get your copy!